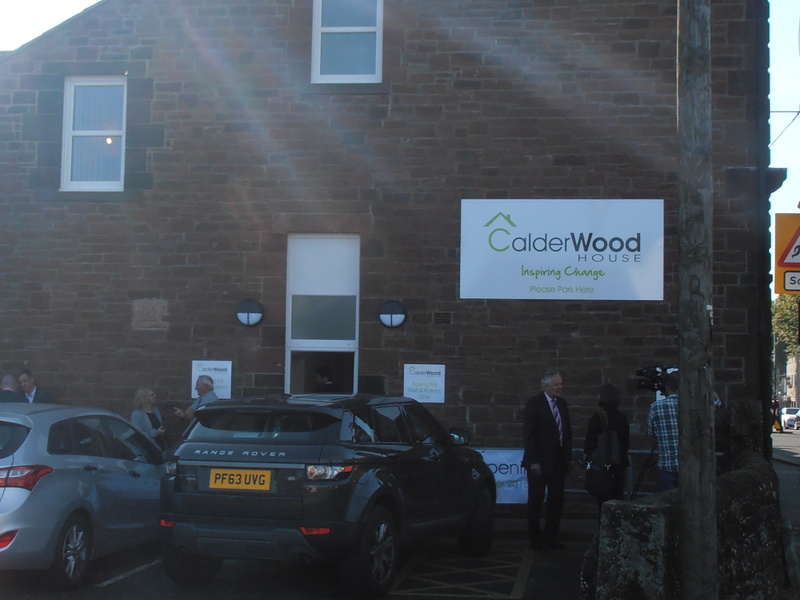 I was impressed and moved by Rachel Holliday when I met her for the opening of Calderwood House recently. I was impressed because this woman had virtually strong-armed a number of people, including the Police and Crime Commissioner for Cumbria, into helping turn her project into reality and somehow managed to have them smiling about it nonetheless. Some people just rub others up the right way I guess. I was moved because she is a woman who has known homelessness herself, pulled herself up out of poverty and then decided she was going to pull others up with her too. When talking about Matthew White’s Rucksack project which gave out thousands of rucksacks filled with helpful items to the homeless Rachel said “if that’s what one man can do in a year imagine what a woman can do? !” I like that kind of fighting talk laced with a damned fine sense of humour. I can be friends with someone like that. This is a woman then who has brought a little more humanity into Egremont. She’s looked at a real need, looked into the faces of those who are hurting, and decided not to wait for ‘someone else’ to help them. She didn’t find excuses; she didn’t throw spare change into their outstretched arms or give a donation to a charity (well, I suspect she did actually but that’s not the point! ); she got up, made plans, found those who could help make the dream a reality and got on with it. Two years later and we have a derelict Police station serving the community usefully again. Calderwood House doesn’t just offer hope to homeless people who, after vetting, will be given opportunity to gain skills and support into finding work and moving on to independent accommodation after six months. It offers hope to all of us because it is too easy, when times are tough and we see need everywhere, to turn off and simply walk away. It’s called the Bystander Effect among psychologists: the more people are around when someone needs help, say in an accident, the less likely it is that anyone will do anything to help at all. It’s not that we don’t care; perhaps it’s just that we feel overwhelmed and incapable? I wonder if Rachel Holliday ever felt like that as she struggled for 27 months to see the project come true? If she did, she beat those feelings down and got on with doing something anyway. We need more people like her around and I’m very pleased that Egremont is home to her project. Peter Watson, the founder of this paper would, I’m sure, be smiling right now. Peter and Rachel were cut from the same cloth.